Bodie is starting preschool next week and I haven't quite wrapped my head around it, quite like I haven't processed the baby coming in a six short weeks so there seems to be a theme in here. His teachers came to visit yesterday which starts to make it a bit more real slash snaps me back to the reality of to-dos and preparing for that transition. The school provided the normal checklist of emergency cards and parent sign ups but I put together a little checklist for myself of some staples and gear for him and his cubby (!) and a couple little things to help and celebrate the transition. Here's my list below and as usual you can also find them in the Picked shop. 1. As much as Bodie wants to bring a plastic character sippy he saw at CVS, he's young enough that I can still veto and pack this Pura Kiki Water Bottle which is insulated and plastic-free and comes in colors that almost rival Peppa and Mickey. 2. We have the Yumbox Kids Bento Box in a few different sizes and have loved them for picnics. They come in a variety of colors and graphics but the best part is the little compartments that encourage balanced eating (and lunch prep). 3. 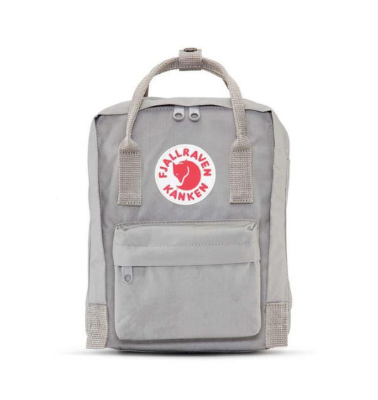 We got this Fjallraven Kanken Classic Mini Backpack last year for his playgroup and it's chic enough that it doubles as a mini "diaper bag" for any outing. Plus I can attest it holds up to wear and tear of a toddler and all the stroller antics. 4. 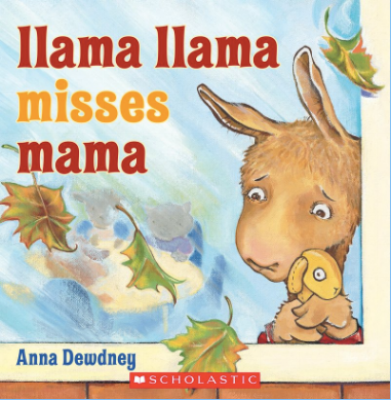 I just received Llama Llama Misses Mama so Bodie and I can start thinking about what it will be like to separate for a few hours a few days of the week. If you're familiar with the series, you know how lovable and relatable it is. 5. These Cheree Berry Paper First Day of School Banners are made for Instagram, that's all. 6. Our preschool, like most, suggests packing a spare pair of clothes. These Oliver's Stick-Eez Clothing Labels are handy in case your extras get sent home with anyone else. 7. Luckily back to school shopping isn't a huge thing yet but I do like some classic, light, durable pieces to see Bodie through the fall and make getting ready easy. 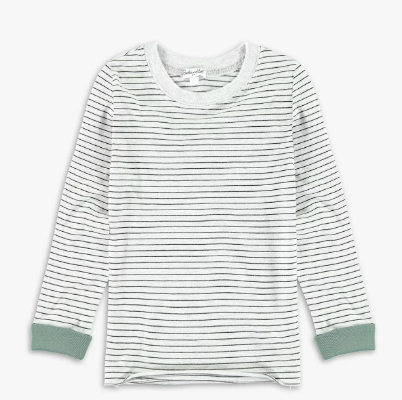 We love these neutral and super soft Splendid Long Sleeve Tees for girls and boys. 8. I swore by Tip Top Joey shoes until Bodie aged out of them at two years so we've moved on to these Namoo Canvas Sneakers (Unisex) which are easy to slip on and clean and comfortable for them to run about in. See more picks for kids' fall clothing here. Featured Image of the Oliver Labels.